You guys. Breakfast is the hardest meal for me. I usually leave my husband in charge of it or pull out the cereal because I am just not a morning person. The other thing I like to do is make things ahead of time. 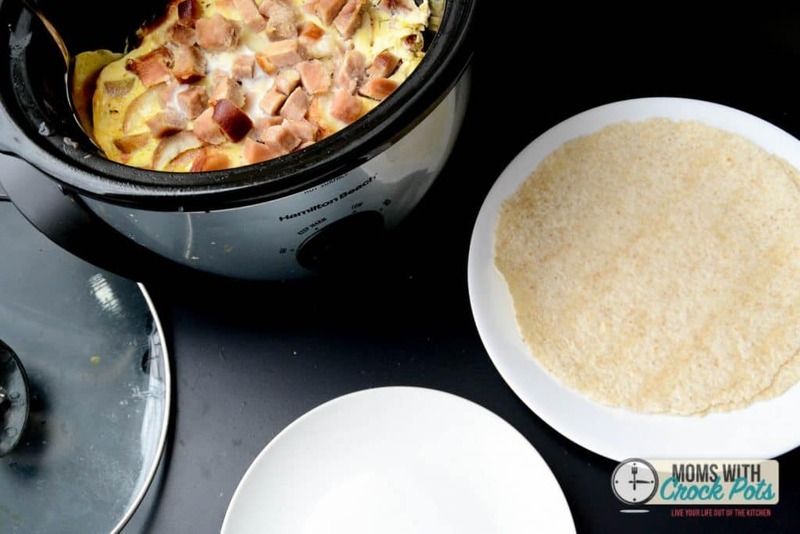 That is why these Crockpot Breakfast Burritos are just plain perfect! The night before pulling out eggs, ham, sausage, milk, and these Simply Potatoes. They make it so easy because they are already ready to go. Simply Potatoes are refrigerated, prepared potatoes made from fresh potatoes. They are washed, cut and ready to use in your favorite recipes, like this one. 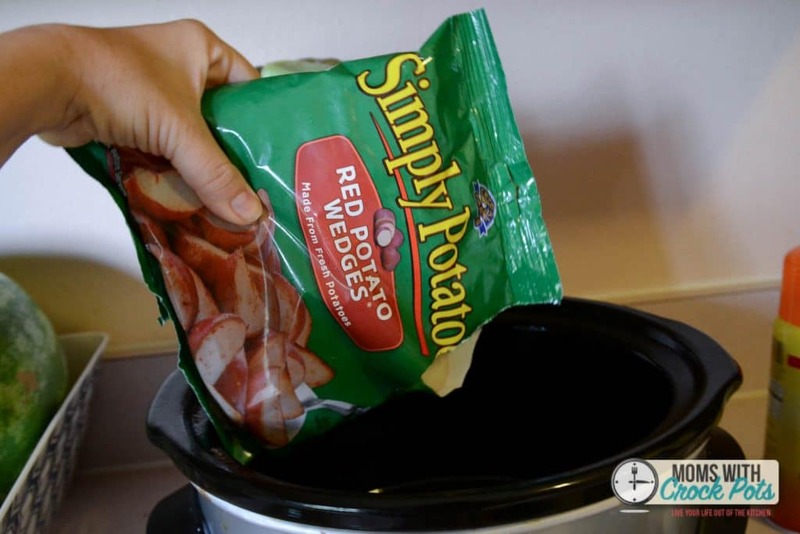 I sprayed my crockpot with non-stick cooking spray and dumped in a full bag of Simply Potatoes Red Potato Wedges. PS: Don’t forget to follow Simply Potatoes on Pinterest, and check out these other Simply Potatoes Recipes. I then topped the potatoes with about 1 cup of diced ham; you could use sausage if your family prefers. I then whisked together the eggs and milk and topped everything off with that. Place the lid on and let it cook on low for about 6 – 8 hours. Perfect for overnight. I put this on before I went to bed and when I woke up the filling for our burritos was ready! PERFECT! I set up an assembly station for the kids; you can do it yourself. Place about 1 cup of the filling in the middle of a large tortilla. This recipe is perfect with gluten free tortillas too! Top with cheese or leave them plain, and fold it up! My hubby even added a little salsa to his. I added some cheese and chives to mine. These turned out fantastic! Plus there were enough left overs to pre-make some burritos and popped them in the freezer. They can easily be re-heated in the microwave later in the week! You have to try these out! 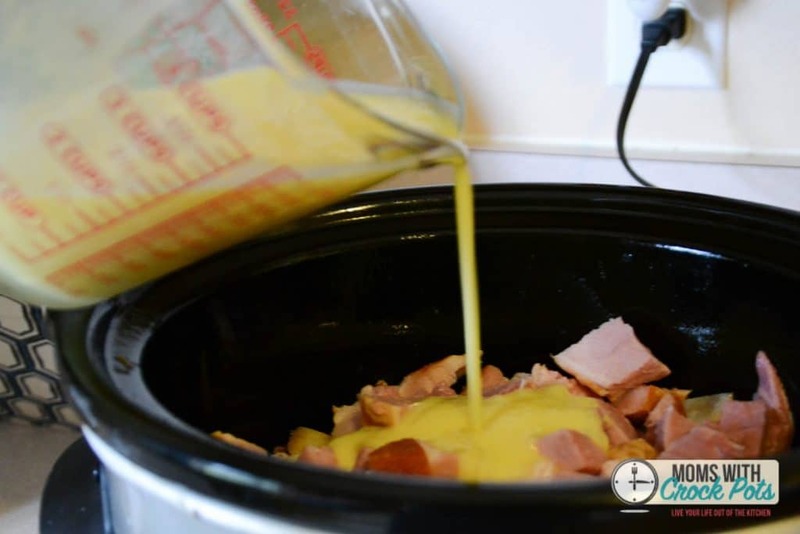 Spray your 5- 6 qt crockpot with non-stick cooking spray. 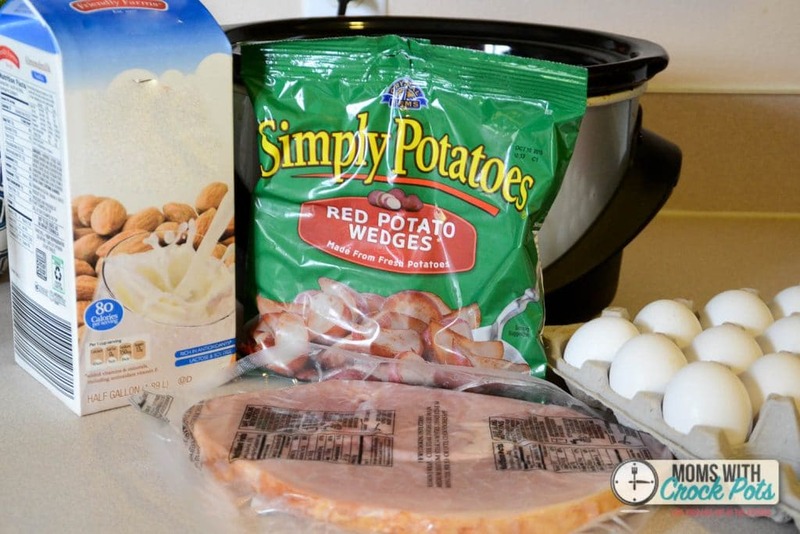 Place the Simply Potatoes in the bottom of the crockpot, top with the diced ham. In a bowl whisk together the eggs, milk, salt, & pepper. Pour over the potatoes & ham. Cover and cook on low for 6- 8 hours. Looks like a great recipe – cant wait to try it out! Thanks! These look amazing. We do a “meat and potato quiche” that is sort of like this but cooked in the oven. 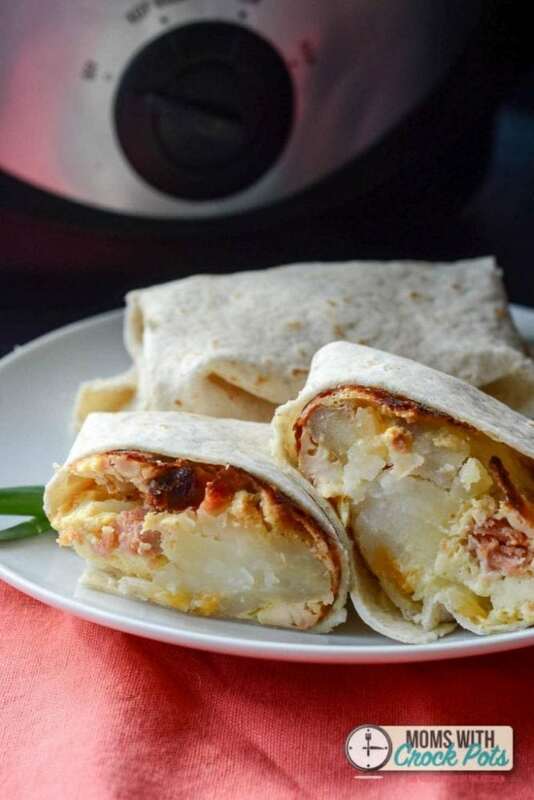 I’m liking the breakfast burrito idea much better! Now I need to get another crock pot so I can do my homemade yogurt at the same time! I noticed it can’t be dairy free because their are eggs in it. Hi Maria, Eggs are not dairy. They are poultry. Dairy is anything made with cow’s milk.